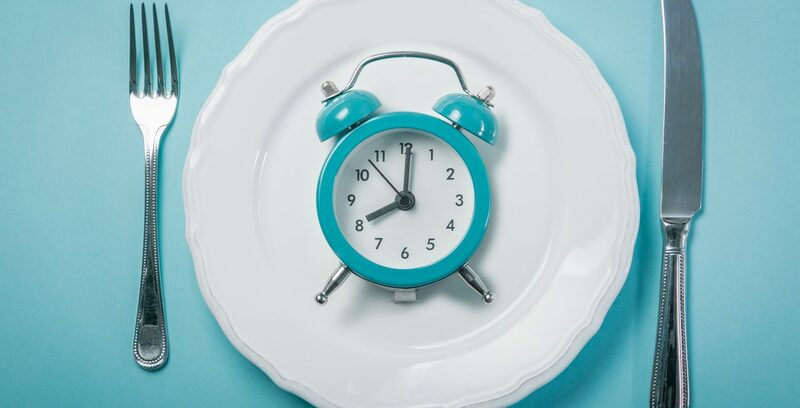 If you’ve been scouring the far corners of the internet in search of crazy, outside the box fitness and diet advice, you may have stumbled on a little concept called “intermittent fasting”. And, if you’re like most women, you probably came to the conclusion that it’s a massive fad diet the second you saw the words “fasting”. After all, fasting is basically starving yourself…and starving yourself can’t be healthy…right? Well, today’s your lucky day. Because not only is intermittent fasting one of the rare diet plans out there that’s NOT a fad, but for many women it’s also a game changer for improving health, increasing energy and promoting rapid fat loss. Got your attention? Good. Let’s break this down. Intermittent fasting is EXACTLY what it sounds like – going without food (but not water) for short, intermittent periods of time. These periods range from a few hours at the low end to a few days at the high end. 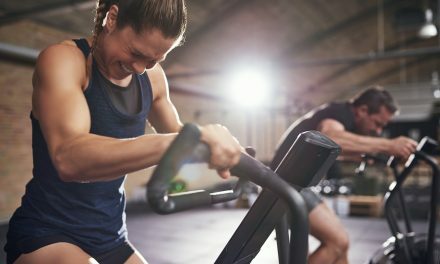 Fasting as a tool for promoting health and weight loss first became popular about a decade ago, gaining traction in underground fitness movements. And over the last few years, it has slowly but surely gained mainstream attention. But despite all of this attention, it still has a lot of negative connotations – especially from women. For many, the prospect of not eating for an extended period of time not only sounds painful, but it also sounds downright dangerous and unhealthy. In reality, nothing could be further from the truth. When done properly, fasting is not only safe and healthy, but it’s also surprisingly easy once you get used to it. Many women are absolutely shocked at how long they can go without food. Up until now, most of the attention around fasting has largely been from men looking to shred down while still maintaining their muscle mass. But what many people don’t realize is that fasting is equally beneficial for the average woman who’s just looking to drop some weight and be healthier. One of the number one objections people have to the idea of fasting is the concept of “starvation mode” – the idea that if you stop eating for a few hours, your body will mistakenly think you’re starving and ramp up fat storage. And unfortunately, this is just one of those myths that absolutely will not die. Here’s the reality – your body isn’t stupid. Humans evolved in an environment where food was scarce and not readily available whenever we wanted it. Real starvation mode is just that – it’s a response to ACTUAL starvation. It happens when you’re chronically deprived of a large portion of your daily calories over a very long period of time. Not because you skipped lunch. In fact, fasting improves certain hormones in the body (mainly insulin) that make losing fat easier, not harder. It also forces you to use stored body fat for fuel. For decades now, nutritionists and diet guru’s have been advising people to eat small, frequent meals throughout the day. The idea is that this will not only keep you full, but it will help speed up your metabolism. Unfortunately, it’s not quite that simple, and the idea that eating frequently has ANY effect on increasing the speed of your metabolism has been largely discredited. Not only that, but many women actually find that eating this way increases their appetite, since they never truly end up feeling full and satisfied. The beauty of intermittent fasting is that it allows you to eat larger meals in one sitting, and still reduce the total number of calories you eat in a day. Weight loss isn’t the only thing intermittent fasting helps with – it can also increase energy and focus as well. The idea that NOT eating can ramp up your productivity may sound incredibly counterintuitive, but this idea is strongly backed up by science. You see, as it turns out, digestion is actually quite a demanding process for your body. And when you constantly have food breaking down in your stomach, you’ll find that your energy levels take a serious hit. When you’re fasting, not only does your body not have to breakdown food, but it also switches to stored fat as a fuel source instead of glucose from carbs. The result is a nice, stable source of energy that doesn’t lead to the dreaded “crash” so many people experience after lunch. Now that we’ve covered the benefits and addressed some of the myths surrounding fasting, let’s talk about how to actually put this into practice. 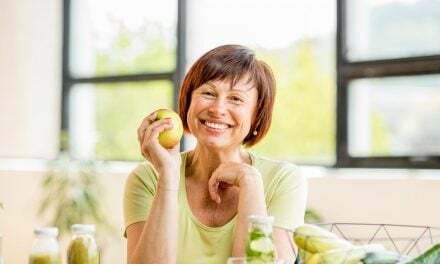 While there are quite a few routines out there, we’ve narrowed it down to two that are both beginner friendly for your average woman and effective for shedding weight and promoting optimal health. Originally developed by former Swedish model Martin Berkhan, 16:8 fasting involves 16 hours of daily fasting, followed by an 8 hour “eating window” in which you consume all of your calories for the day. For most people this is going to involve skipping breakfast. So, if you typically eat lunch at around noon, your last meal (or snack) of the day before the fast starts (including the part where you’re asleep) would be around 8:00pm. This style is extremely beneficial for shaving calories without additional hunger. Most women report that skipping breakfast is relatively easy to adjust to, and often find that after a few weeks, they aren’t even hungry in the morning anymore. It’s also great for productivity and getting more done, since, for most people, the morning hours are their productive prime time. The next option is a little bit harder to get used to, but is a fantastic option if weight loss is your primary goal. This strategy involves fasting twice per week for 24 hours, and then eating “normally” the rest of the time. The beauty of this is the flexibility. You can choose any day and time frame (breakfast to breakfast, lunch to lunch, etc), and as long as you get those two 24 hour fasted periods in, you’re good to go. It’s also great because of the sheer amount of calories reduced. Since your average woman eats between 1500-2000 per day, by fasting twice per week you’ve effectively slashed 3000-4000 calories from your diet – more than enough to get the scale moving. The downside is that, of the two option, this one is definitely harder to adjust to. Having said that, once you’ve done it a few times, it’s surprisingly easy to stick with, and many women come to enjoy the clarity of mind that a longer fast can bring. In conclusion, fasting may not be for everyone. But if you’re open-minded and like trying unconventional diets, it might just be the diet hack you’ve been looking for.